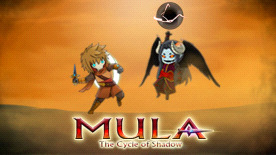 Mula is the story of the protagonist Wave a survivor of the dark invasion of the land of Mula. Finds himself to be the next guardian that will prevent the invasion, at the cost of his existence. As it was always been done. 3 Different primary items, only 1 may be obtained randomly per play through.